Here at 30 Minute Dinner Party headquarters, I don’t bake desserts as often as I would like, but I do find an insane number delectable treats every week in my research. So every Sweet Saturday I’ll be bringing you a round-up of my favorite new desserts from around the web. Let me know if you try them at home! Thirty minute dinners being the quick affairs they are, I can’t always squeeze in elaborate desserts. This week though, many beautiful bakers around the web are sharing simple desserts that are the perfect way to cap off your dinner party or family dinner. I’m always a sucker for quick, easy desserts, and this Black Forest Mess on Food not Fuss really takes the cake (pun intended). A cross between between black forest cake and an eton mess, you warm up frozen chocolate muffins and cherries and top with Greek yogurt. The result is beautiful, like much of Andrea’s photography. How I love recipes with three ingredients! This cinnamon peach lassi from Not Eating Out in New York is a very refreshing way to end a meal, and more localvore take on the typical mango lassi you see in Indian restaurants. 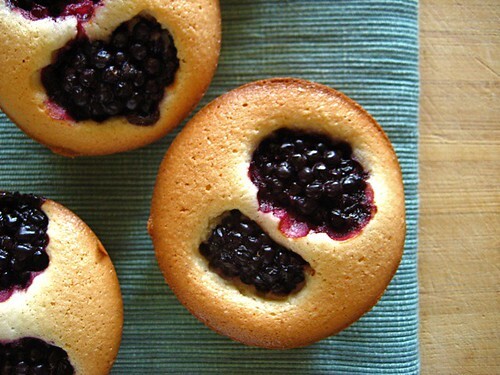 Apart from just looking mouth-watering, I sampled some berry financiers last week, and they are little bites of heaven. 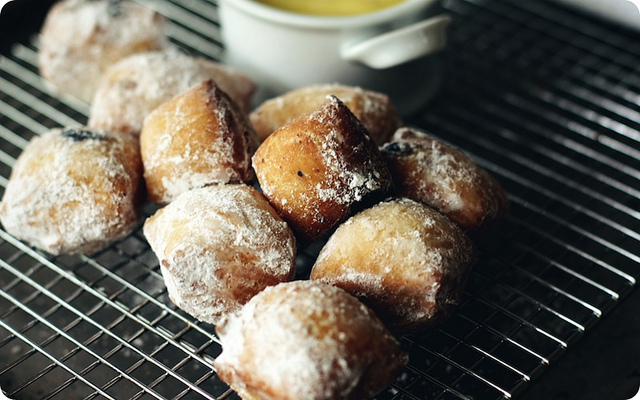 From one the gods in the French baking pantheon, David Lebovitz, these Boysenberry-Brown Butter Financiers are relatively simple, for a French sweet. Vanilla Garlic has the scoop. Another three ingredient recipe! I never realized that meringues were so easy. This simple recipe from A Chow Life has convinced me that they should be added to my (short) list of thirty minute dessert recipes. Enjoy! And if you make any of these goodies, let me know how it goes.